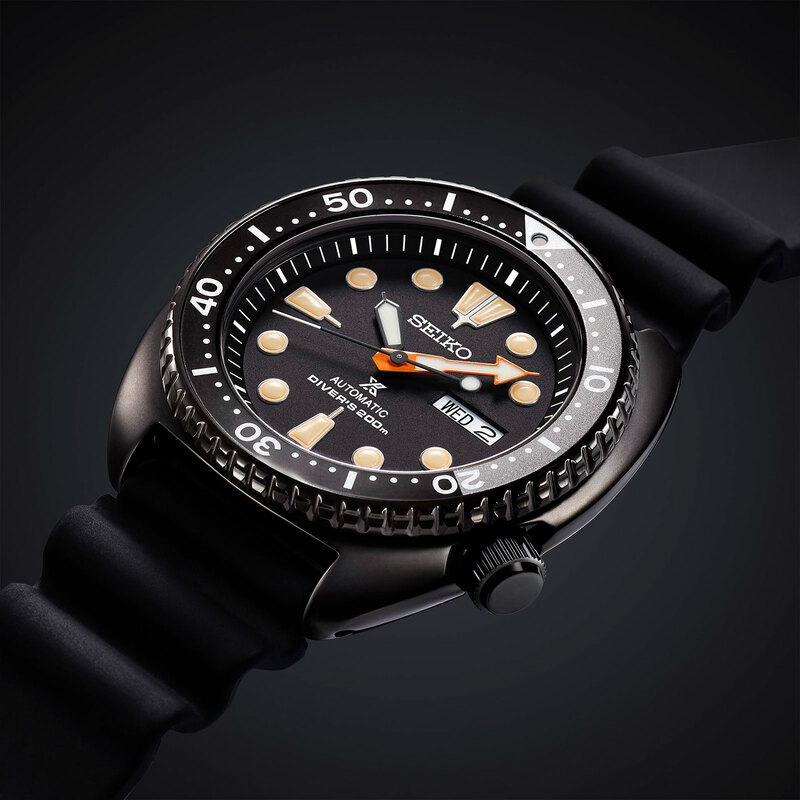 Seiko has just taken the covers off a trio of limited edition dive watches with all the ingredients to be a crowd pleaser: a black-on-black colour palette mixed with faux vintage lume and a bright orange minute hand. The look isn’t novel, being vaguely reminiscent of vintage military dive watches – the IWC Porsche Design Ocean 2000 BUND comes to mind – but it’s a good one. 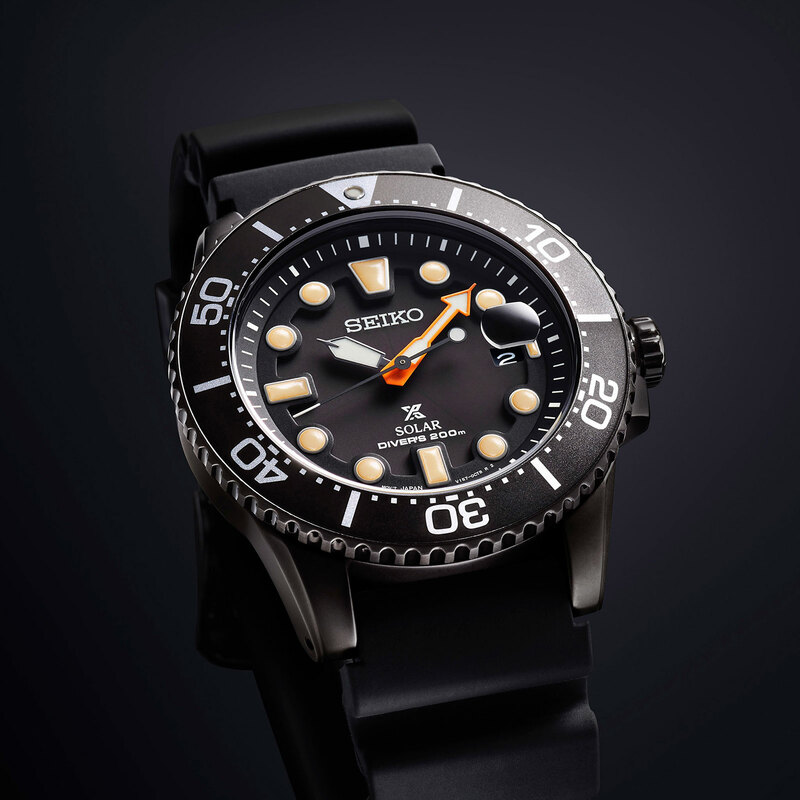 While the series is a limited edition, the total run for each model has not been announced (which Seiko has done several times in the past for other limited editions). The watches will be available March 2018. The first of the trio is the Prospex Solar Diver (ref. SNE493 P1). It’s rated to 200m, and the case is 43.5mm in diameter. Inside is the cal. V157, a solar-powered movement that will run 10 months on a full charge. It will be priced at €380 (all prices include 19% value-added tax). Also solar-powered is the Prospex Solar Chrono Diver (ref. SSC673 P1). The case is 43.5mm in diameter and rated to 200m. It’s a 60-minute chronograph, with a 24-indicator (and not a chronograph register) at three o’clock. The price will be €410. 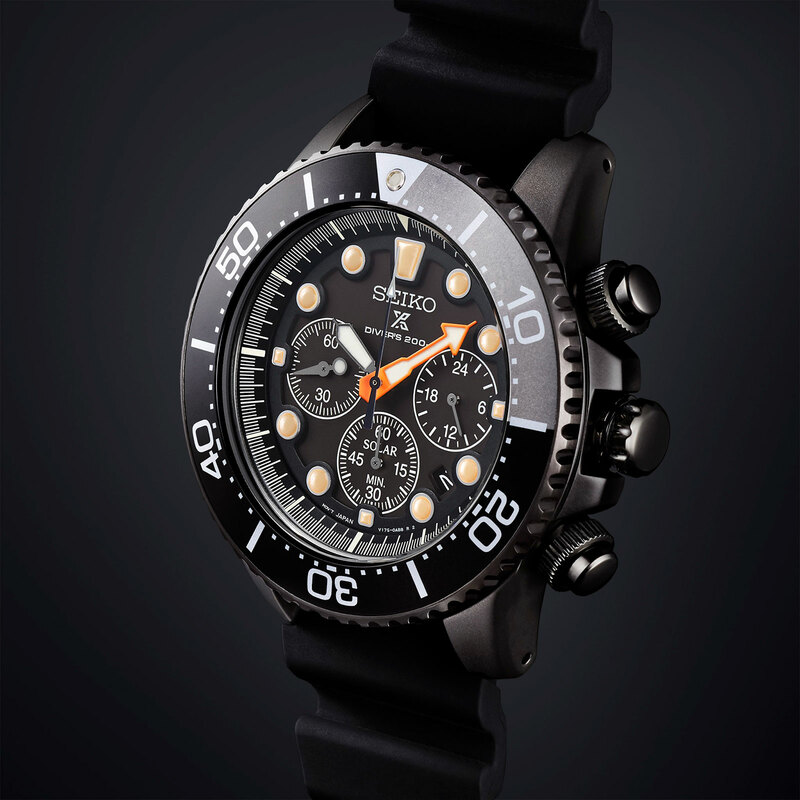 And the best of the lot is the Prospex Diver Automatic “Turtle” (ref. SRPC49 K1). Spec-wise it’s identical to the standard “Turtle”, with a 45mm steel case, 200m depth rating, and the 4R36 movement inside. Retail will be €490. Update December 29, 107: Retail prices in Euros added. And the watches will be available in March 2018, and not January as stated in an earlier version of the article.